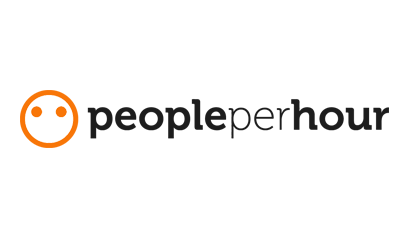 DesignCrowd is a customised logo design company that currently boasts an impressive 616,000+ freelance designers. To date, the professional designers have completed over 280,000 projects, with upwards of 25 – 100 designs received per project. A wide range of corporate identity and branding services is offered, including web design, graphic design, print design, merchandise design, art & illustration. The process of creating the perfect design can be completed in 3 steps. The range of graphic design services offered by DesignCrowd makes it easy for businesses to source all sorts of design and printing information. The user interface provides quick and easy access to categories, designers, jobs, and how-to information. The graphic design services include all manner of corporate identity and branding options, such as business cards, letterheads, signage design, billboard design, car wrap design etc. 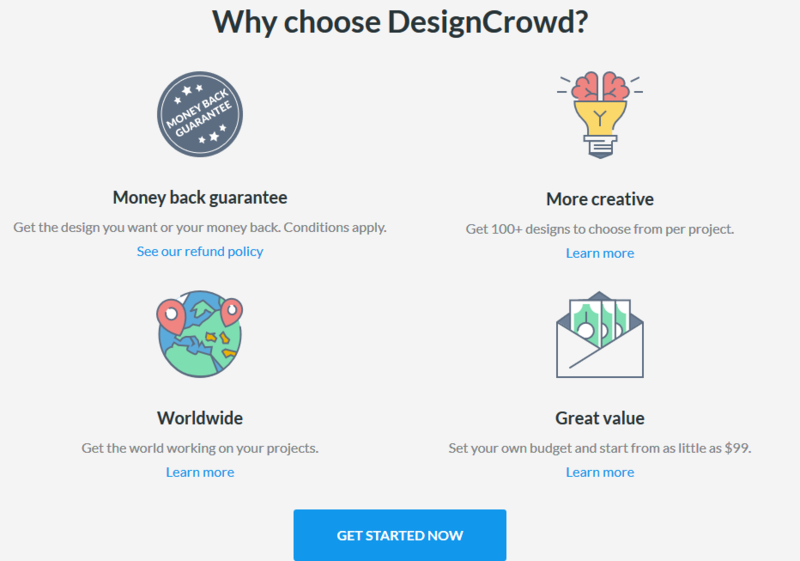 DesignCrowd connects businesses to professional freelance designers. This online platform brings the crème de la crème of professional designers together for businesses to pick and choose the most suitable experts. To date, some 100,000+ businesses have utilised the services provided by DesignCrowd pros. To get started, clients must first create a free account. The account registration process requires you to select either customer or designer status. 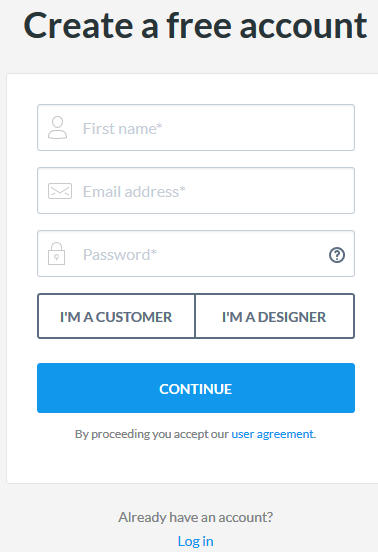 Once you’ve entered your first name, email address, and password, you can proceed to accept the user agreement to get started. After you have registered, you can login using your email address and password or continue with Google or Facebook. There are effectively 3 options available to businesses, including creating a design according to your budget, or if you are at a company or agency, you can also have a large project created. A series of solutions are provided in this regard. For freelance designers, there are many options to generate income streams, with unlimited earning potential. DesignCrowd is a virtual marketplace where businesses and freelancers can come together for all design-related projects. 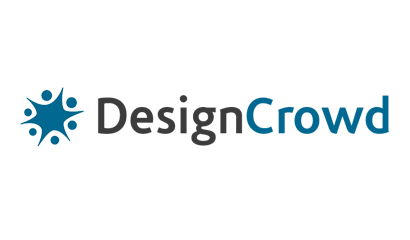 It is the go-to destination for graphic design services, website, logo, and print design, et al. The virtual team of professional designers comprises 616,169+ people ready to get started on your project. Thanks to the crowdsourcing potential of this online team of workers, it is possible to post a project and receive offers from top-tier designers from all over the world. Most projects receive on average of 50 designs or more. However, it’s not simply the quantity of professional freelance designers – it’s the quality thereof. The company is headed by Alec Lynch who serves as the CEO, and Adam Arbolino, the cofounder. This Australian-funded enterprise comprises multiple heavy hitters including Grand Prix Capital and Starfish Ventures. Some $45.5 million worth of design projects have been awarded across 165 countries. 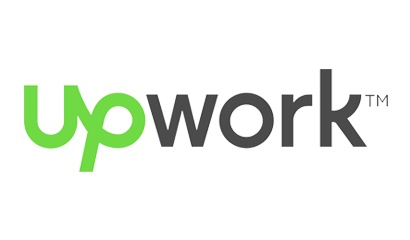 This company has been in business for 10 years and is fully licensed and regulated as DesignCrowd PTY Limited in New South Wales Australia. Merchandise Design – T-shirts, Apparel, Bag and Tote, Cup and Mug and more. It’s possible to pick designers based on your personal preferences. Businesses and entrepreneurs can simply browse designer profiles and ‘Invite Designers’ at their leisure. Explain what your needs are by creating a brief. 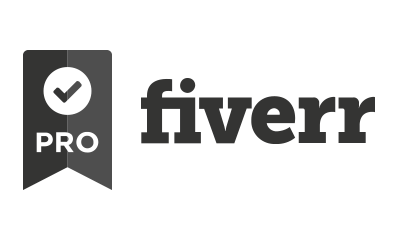 Receive design concept ideas from freelancers around the world within hours. Select the design that best meets your needs and preferences and then download the data. There are fees for customers and designers. Designer earnings are subject to a 15% commission. The best way to source a freelance worldwide designer is to navigate to the ‘Designers’ page. The designers page allows you to enter search queries where you can hand select designers according to category. For example, you can choose the type of designer you’re looking for, the designer’s country, and other factors such as sorting designers by wins (how many contracts they have been awarded), or by their earnings. The distinct types of designers include the following: poster designers, flyer designers, packaging designers, brochure designers, WordPress designers, T-shirt designers, graphic designers, logo designers, business card designers, and web designers. Further, you can pick designers based on your country preferences. Remember that designers from Asia are typically cheaper than designers from the UK, Europe and the US. It’s this mix that keeps prices competitive, and that’s why it’s a good idea to consider designers from countries like Indonesia, Philippines, Pakistan, Bangladesh, India etc. Once you have entered your precise designer requests, you will see a listing of designers on screen. Their rank, feedback score, reviews, and money earned will be listed. 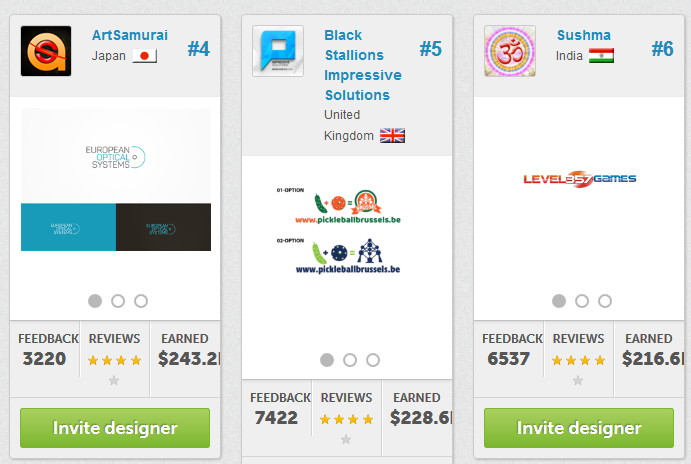 You can easily invite any of these designers to provide services for your company. Simply click the green ‘invite designer’ button to get started. Businesses can review each designer’s personal portfolio of completed projects. These include details of the projects, including the price that was paid for it. Other important aspects to consider when choosing a designer are the number of revisions that were requested, the number of designs that the freelancer typically provides to clients, and the overall service that is offered. The most important aspects to check with a designer are their ranking, their star rating, the money they have earned, and their social profiles. According to the customer service department, it is company policy to allow designers and customers to reach a favourable outcome when it comes to revisions. Customers are entitled to send design change requests to the designer by sending messages directly. While it is ill-advised to continue to request unnecessary revisions, customer satisfaction is an important part of the success of the company. If you don’t like the designs that have been created, it is possible to request a refund within 30 days of the project being posted. This is all included in the money back guarantee of DesignCrowd. 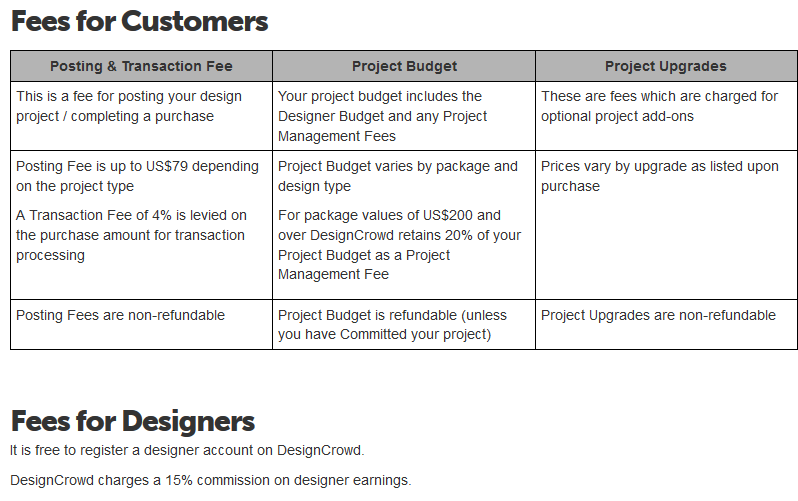 If the designer doesn’t do the work requested of him/her, customers can contact DesignCrowd directly and they will follow up with the designer. It is possible that you may be allowed to use another designer to complete the work assignment. When you wish to cancel a work order because the freelancer has not fulfilled their end of the bargain, it is advisable to post feedback on the freelancer’s profile for other customers to see. If you are dealing with a nonresponsive designer, it is not a problem for the project to be cancelled and refunds to be provided[BC1] . Other contact options include the blog, the freelance designer community, and social media channels like Pinterest, G +, Facebook, and Twitter. Information is readily available on all design services through the FAQ section on site. As far as design services go, DesignCrowd offers a global pool of freelancers with expert skills across multiple design categories. Customers will be able to pick their preferred design is based on a number of factors such as star ratings, revisions, performance data, pricing etc. It is possible to search for designers at the click of a button by inputting specific search phrases/queries/data when you’re posting a project. The three payment options include Skrill, PayPal, and Payoneer. Low spreads are offered by the company, and fees are in line with general crowdsourcing-style platforms.